Church Celebrations – North American Baptists, Inc.
It’s important to remember where we come from as a conference and the saints of the past upon whose shoulders we stand, so we want to congratulate Greenvine Baptist Church and rejoice with them. They will be celebrating their 155th anniversary on October 23. They opened their doors in 1861, only ten years after the first conference of pastors that would come to be known as the North American Baptist Conference and still four years before the first Triennial! Praise God for their rich history and the work He still has ahead of them. After more than a year of praying and planning, Calvary Baptist and the Saskatchewan Baptist Association opened Vintage Church on September 11. This soft opening brought about forty people together from all walks of life for an evening of music, teaching, and sharing where God is calling them. The official opening was on September 25, where they invited the neighborhood to join them. Most of the people walking in the doors do not know God, are asking questions about Him for the first time, or have not been active in a church. Pray for the leadership team—Luke Miller, Sara Miller, Ken Solberg, Seth Taylor, and Austin Ramstead—as they follow God’s plan to serve their neighborhood, share the Gospel, and build His Kingdom. We want to share another one of our NAB stories with you. 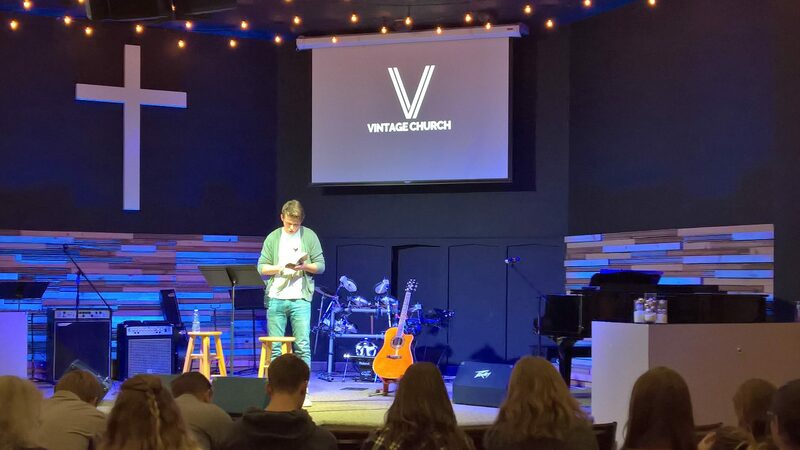 Here is VP of Missional Initiatves Cam Roxburgh discussing who God is and how He is at work around us. All videos are created for use in your church, so please take a moment to watch this video by clicking on the image above and look around for the others while on the site. Thank you for being a part of our NAB family!